Despite Lukashenka’s declarations on closer integration with Russia, long-term trends show that Belarus is gradually distancing itself from Russia. OSCE representative visits Minsk. 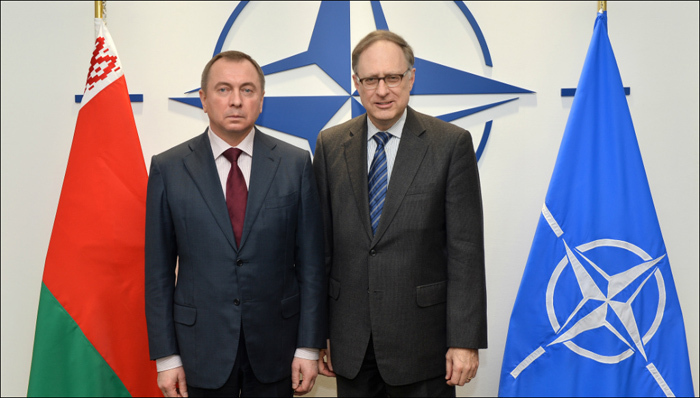 Belarus seeks warmer relations with NATO. Belarus’s self-awareness is on the rise. Belarusian authorities show tolerance to the Freedom day concert, yet demolish crosses at Kurapaty. Nobel Prize laureate Sviatlana Alexievich condemns the authorities over the Kurapaty crosses demolishing. Russia will provide Belarus with a state loan of $600 million. Benefits for IT sector work grow, yet IMF and World Bank worsened Belarus GDP growth forecast for 2019. Belarus: The State in the Middle – Gabriella Gricius, Global Security Review, argues how long Belarus can continue to balance between East and West. For two decades, Belarus has played a game of “Monkey in the Middle.” Amidst increasing tensions between Russia and the West, however, it remains to be seen how much longer it can continue to do so. OSCE Special Representative: Fighting Against Fakes, One Cannot Create a “Ministry of Truth” – The OSCE Representative on Freedom of the Media, Harlem Désir visited Minsk on March 18-20 and met both state and independent media, as well as MFA and the Ministry of Information. In his interview to TUT.by, Harlem Désir tells if the OSCE can influence the Belarusian authorities and how to deal with fake news without restricting freedom of speech. Belarus-Russia: Is a New Alliance Model Possible? – Dzianis Melyantsov and Yauheny Preiherman, the Minsk Dialogue expert initiative, do not believe that the recent Russo-Belarusian conflicts are just an ordinary allied routine. In fact, today Minsk and Moscow are arguing about the basics of their relationship: what format of the Union State, which this year marks its 20th anniversary should be. Will Russia try to occupy Belarus? – Ryhor Astapenia, at The Washington Post, tells four things you need to know about the two nations’ falling out. In brief, a closer look at the evidence suggests that the chances of Putin governing Belarus are slim. While Alexander Lukashenka may publicly say that the two countries may integrate more, long-term trends show that Belarus is gradually distancing itself from Russia. Escalation After Tea. Why Minsk Noisily Quarreled With the Russian Ambassador – Artiom Shraibman, at Carnegie Moscow Center, assumes that heated rhetoric between the Russian ambassador and official Minsk is a symptom of deeper processes in the mutual relations. Both sides feel that they have come to some historical threshold. The old format of friendship has been exhausted so much that there is nothing to risk with. 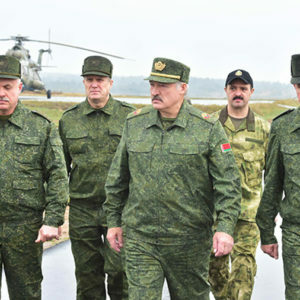 Not an Enemy: Belarus Seeks Warmer Relations With NATO – Arseny Sivitsky observes that Belarus wants to expand constructive dialogue with NATO. However, further development of cooperation is limited by institutional and ideological constraints, which include the lack of necessary NATO framework agreements, false perceptions in the West of Belarus as a political-military appendage of Russia and concerns over the lack of progress in democratic reforms. About the Information Security Concept of Belarus – Belarus Security Blog analyzes the Information Security Concept adopted in March 2019. In general, the concept itself is a positive trend in the work of the authorities in the information sphere, but it is aimed at ensuring the information security of the authorities, but not the people. Also, experts doubt that all the concept’s provisions will be fully implemented in practice. Words Matter: Belarus’s Self-Awareness on the Rise – Analyzing the recent exchange between Mikhail Babich, Russia’s ambassador to Minsk, and the Belarusian MFA, Grigory Ioffe believes that public remarks made in recent weeks have arguably contributed to Belarusians’ self-awareness and national consolidation at least as much, if not more than, all of the persistent political chatter of the last quarter century. 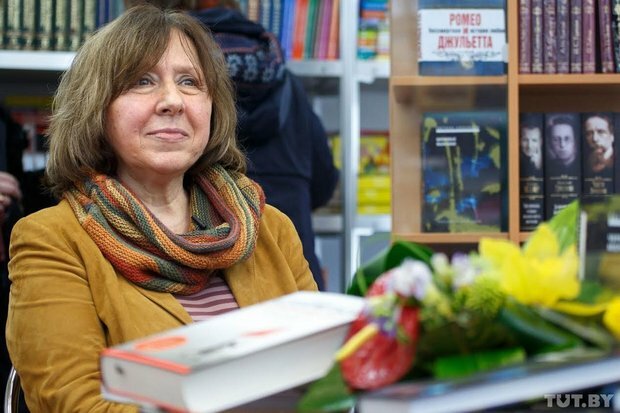 Sviatlana Alexievich: This is a Reference Point In Our History – Commenting the demolition of crosses in Kurapaty, Nobel laureate in literature Svetlana Alexievich admits that even she, accustomed to conflict with the authorities, was shocked. The writer is confident that even this case doesn’t lead to revolution and mass protest, there will be a notch in the mass memory about that day when the power has passed some new line. Economic authorities propose changes in the stock and securities market to give a boost to regional development. The Finance Ministry proposes to abandon the preemptive right of executive committees to acquire shares, which has a restraining effect on investments in the regions. In addition, economic authorities envisage reducing the state’s share in joint-stock companies. Russia will provide Belarus with a state loan of $600 million. The funds will be used to refinance payments to repay the previous loans. By the end of April, Minsk can also receive the 7th tranche of $200 million from the Eurasian Foundation for Stabilization and Development (EFSD). The total EFSD loan of $2 billion is provided to support the reform program in Belarus. Benefits for IT sector work. In 2018, the total tax payments of Hi-Tech Park’s companies and their employees have amounted to almost $280 million. This is $7 thousand per employee, which exceeds the tax payments of the average employee in the Belarusian economy almost 5 times. This is a finding of the review prepared by the IPM Research Center. IMF and World Bank worsened Belarus GDP growth forecast for 2019. The International Monetary Fund (IMF) has revised downward its forecasts for the economic growth in Belarus in 2019 from 3.1% year-on-year to 1.8%. The World Bank also revised the nation’s GDP growth from 2.7% to 2.2% in 2019 and said that the economic growth would depend on the results of Minsk’s talks with Russia on compensation for the so-called ‘tax manoeuvre’ in the oil sector. Belarus criticized for poor anti-corruption standards. The Council of Europe, in an unprecedented move, has publicly declared Belarus’ failure in anti-corruption standards adopted in European countries. Twenty of 24 recommendations of the Council of Europe’s Group of States against Corruption (GRECO) “have remained outstanding”. ICNL releases report on restrictions on higher education. The report seeks to understand the ways in which governments are repressing university autonomy and closing academic space. Belarus is mentioned in relation to forced membership in the government-controlled youth organization, the pressure on students for their socio-political activity, etc. Alexander Lukashenka meets the President of Moldova, discusses Russia and Ukraine. Foreign Minister Makei flies to Geneva and later meets USAID representatives. Putin’s press-secretary Pescov rebuffs Lukashenka’s statements on the anti-Belarusian sanctions. Minsk prepares for the international military exhibition MILEX. Belarus wants to expand its cooperation with the World Bank in projects worth $300m. Lukashenka disapproves the agrarian management, suggests that large industrial giants should take up more collective farms. Belarus intends to repair its parts of the “Druzhba” pipeline. Lukashenka expects the High Tech park to bring the latest information technologies to the court halls. Minsk prepares for the Second European Games. The Belarusian authorities to open up the Chernobyl Exclusion zone for tourists. 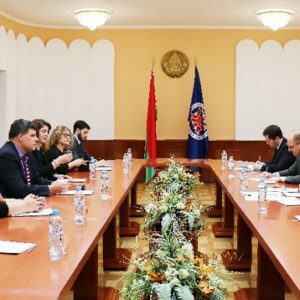 The President of Moldova visits Belarus, reports BELTA. 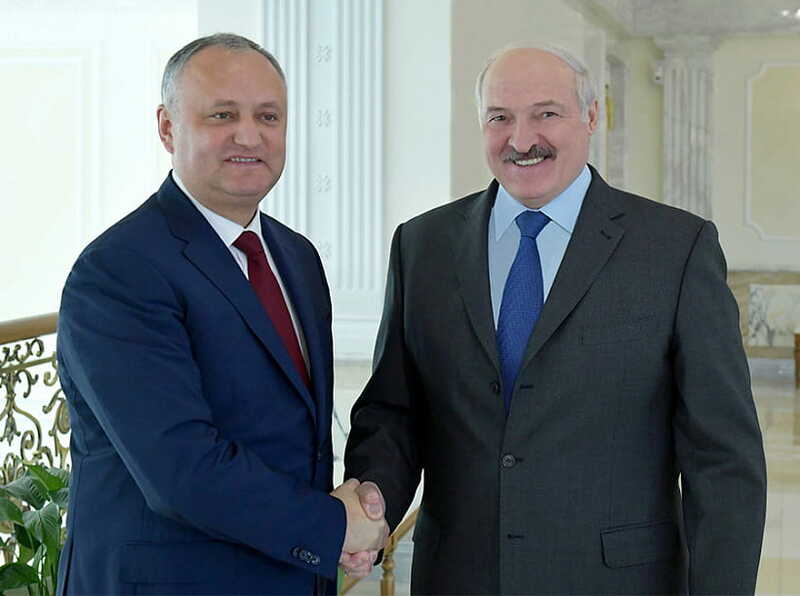 On 10 April 2019, Alexander Lukashenka met Igor Dodon, the President of Moldova, in Minsk. The presidents discussed the bilateral relationship, the Ukrainian events, and the relations of both states with Russia. According to Lukashenka, Belarusian-Moldovan relations remain almost flawless. Dodon, on the other hand, praised the Belarusian import to Moldova and expressed the intention to improve the mutual trade relations. Foreign Minister Makei meets USAID representative, reports BELTA. On 11 April 2019, Uladzimir Makei met with a U.S. delegation led by Brock Bierman, Assistant Administrator for USAID’s Bureau for Europe and Eurasia. The parties discussed the bilateral relations and the potential enhancement of cooperation, particularly, in the areas of promotion of small and medium-sized entrepreneurship, tourism and culture. In addition, previously Minister Makei visited Geneva to take part in the 68th session of the United Nations Economic Commission for Europe (UNECE), reported the Ministry of Foreign Affairs. Belarus’s foreign minister emphasized the unique role of UNECE as Europe’s top discussion platform on economic and social development matters. Putin’s press secretary Peskov disagrees with Lukashenka’s statements on “the sanctions against Belarus”, reports “Soyuznoe Veche”. According to Dmitry Peskov, the temporary closure of the Russian market for several categories of the Belarus-made milk goods has never presumed anti-Belarusian sanctions. Peskov assured that Russia had always followed the political and economic agreements of the Union State and intended to do so in future. Minsk prepares for the top military exhibition MILEX 2019, reports Belarus Segodnya. The Ninth international arms and military hardware expo MILEX 2019 will feature about 100 samples of weapons. Approximately 35 companies from Azerbaijan, Germany, China, and Russia have already confirmed their participation in the exhibition. The exhibition’s opening ceremony will take place at the historical complex Stalin’s Line on 15 May. Belarus wants to engage in $300m projects sponsored by the World Bank, reports the Ministry of the Economy. In early April 2019, the Belarusian delegation led by the Minister of Economy Dzmitry Krutoy met with the World Bank’s Vice President for Europe and Central Asia Cyril Muller. The parties discussed the potential new projects in education, energy effectiveness, and infrastructure. Currently, Belarus’s investment portfolio reaches eight investment projects worth $790m. I think some industry giants, like MTZ and Belorusneft, should take on more collective farms. They have people, some resources, technology and different approaches. They will be able to bring these companies into shape faster. Belarus wants to repair its parts of the “Druzhba” pipeline, reports “Soyuznoe Veche”. According to the Vice Premier Minister Ihar Petryshenka, Belarus intends to repair all the pipelines passing through its territory. Due to the complicated nature of the maintenance works, several pipeline’s areas will close at times. By 2019, “Druzhba”, the world’s longest oil pipeline, flowing from the Yamal peninsula to Germany, will reach 55 years old. Moreover, Lukashenka expressed the intention to digitalize the Belarusian courts all over the country by the specified deadline with the help from the HighTech Park and the Operations and Analysis Center. 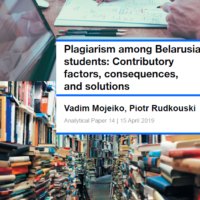 Belarusian educators worried about plagiarism reports “Navuka” newspaper. According to Aliaksandr Huchok, the chair of Belarus’s Higher Attestation Commission, the Belarusian segment of the Internet contains 46 websites offering paid thesis writing. Though advertising such services break the Belarusian law, the Ministry of Education unable to trace all the lawbreakers. The Belarusian language holds a positive therapeutic effect, reports Belarus Segodnya. According to Ala Ryzevich, a popular radio DJ from “Stalitsa” radio station, the Belarusian language helps to balance the daily stress and restore good psychological condition. Ms Ryzevich particularly advises using Belarusian words in conflict resolution. Minsk hosts the Spring Queen 2019 beauty pageant, reports BELTA. On 8 April, the Minsk City staged the nationwide contest of beauty and talent Spring Queen 2019. Students from ten universities competed for the right to represent Minsk at the nationwide final show “Miss Belarus 2019”. Yelizaveta Abramkina, the student of Belarusian State Economic University, won the crown. Belarus prepares for the Second European Games, reports “Soyuznoe Veche”. From 21 to 30 June 2019, Belarus’s capital will host more than 4000 sportsmen from 50 countries. The fox Lesik, the official symbol of the Games, became the first participant to register in the accreditation centre at the beginning of April. Belarus to open the Exclusion zone near Chernobyl reports Belarus Segodnya. Tourists will get access to the abandoned villages; however, the tourist routes will retain safe radiation levels. The costs of such excursions should vary between $150-200.